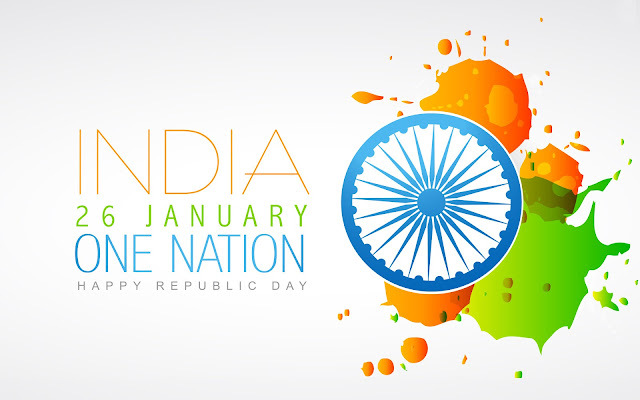 In India on 26th of January, every year whole country celebrate the Republic Day with full enthusiasm. Republic day is the day when India’s constitution came into force on 26 January 1950. This Day is special for every India citizen, as the constitution gave India citizens the power to choose their own government. On the occasion of republic day, people send republic day Shayari to their friends and family. There is a gazetted holiday in 26th January. A large number of people together in Delhi where large military parades are held in the state capital. In that parade, traditional dance groups of different states participate whereas representatives of the Indian Army, Navy, and Airforce also present. Prime minister of India laying a wreath at the Amar Jawan Jyoti at India Gate and remember the soldiers who sacrificed their lives for their country. During the parade in New Delhi, president of India takes the military salute. On Republic day the foreign head of the state is the presidents chief guest. Function start with giving the medals of bravery to the people from the armed forces and also the civilians. Armed forces showering the rose petals on the audience through fly past. You will also see the motorcycle showcase by armed forces personnel. Cultural programmes from the different states show by the people in which they show the history and culture of India. Every state of India shows their states beautiful scenery decorated by artificial things. Many school children from different schools also participate in the parade. This is the day when local offices, state offices are closed other stores and business also closed for a day or for few hours. School, colleges alos closed for the day. Public transport also is unaffected as people from cities come to the capital to see the grand parade of 26th January. The parade causes a disruption to the traffic and also increase the security in the area of Delhi. Citizen of India believed that the true spirit of independent India represents the Republic day. This is the time when India shows other countries that how powerful India is by showing military parades, displays of military types of equipment. Rakhte hain hum woh houslein bhi jo mar mitey Hindustan ke liye. Ye baat hawao ko bataye rakhna, Roshni hogi chirago ko jalaye rakhna, Lahu dekar jiski hifazat humne ki, Aise Tirange ko sada dil me basaye rakhna. Jay Hind !!! Jay Bharat !!! Watan hamara aisa koi na chhod paaye, Rishta hamara aisa koi na tod paaye, Dil ek hai ek jaan hai hamari, Hindustan hamara hai hum iski shaan hain. Happy Republic Day 2018. Freedom In The Mind, Strength In The Words, Pureness In Our Blood, Pride In Our Souls, Zeal In Our Hearts, Lets Salute Our India On Republic Day. Happy Republic Day!